Pin them to a tree. 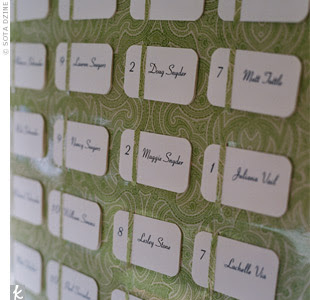 Cover posterboard with paper, cut slits and slide the cards in. 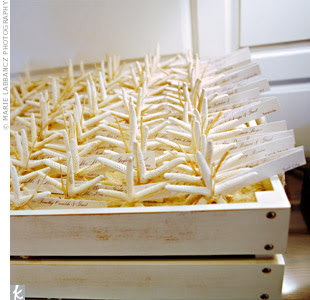 Each name is attached to a starfish. 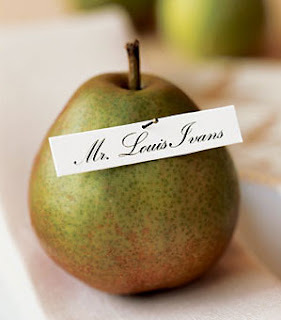 Put the name cards in pears, apples, pumpkins - have the spilling out of bushel containers or baskets on to the table. These cards were actually supposed to stand up in the marbles but it was too windy. Every guests received a wine bottle with their seating card. Candle holders - diy kits are available at Michaels. 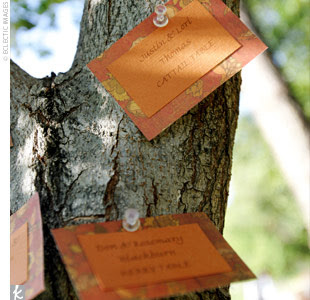 I love the one on the tree! !